Make your friends and family LOL with these free imessage stickers by Moosejaw! Find cool, fresh stickers that continually update on the app, just like the cool attire and gear you can find at Moosejaw. If you think your conversations are lacking a little, then this iPhone app is for you! Sorry Android users – they’ll mail you physical stickers so you’re not left out. 😉 Although I don’t recommend sticking em’ to your phone screen. Liven up your conversations with Moosejaw iMessage stickers. They are pretty funny. One of my favorite convo’s is above….although it was completely one-sided, but hey I got a kick out of it. 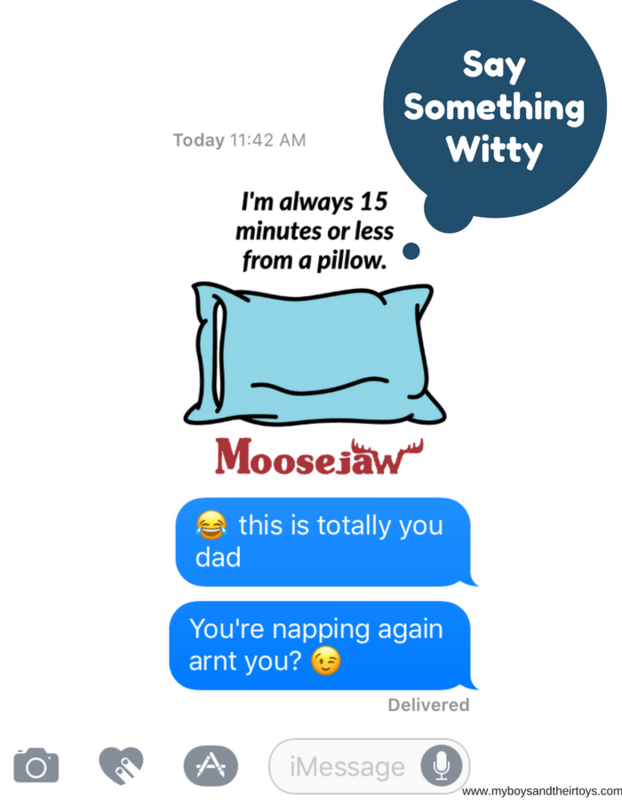 My brother and I often give our dad a hard time about his multiple naps. He seriously wants to know what time we’re visiting, so we can work around his nap schedule. LOL! Moosejaw has plenty of other witty conversation starters, especially those centered around the next upcoming holiday because, well, they thought you’d like that. I found this iMessage sticker and sent it to hubby. I have a thing for turtles. They are cute, right?! Depending on the holiday, Moosejaw free iMessage stickers can be sweet too. They even have stickers for Tax Day and Earth Day! By the way, it’s super easy to use and obviously fun too. 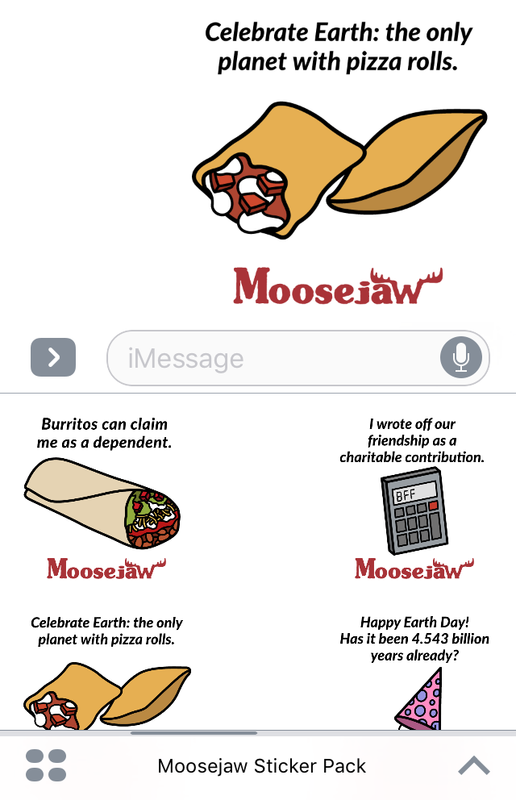 Want to know how to send Moosejaw iPhone stickers? Follow the easy instructions here. 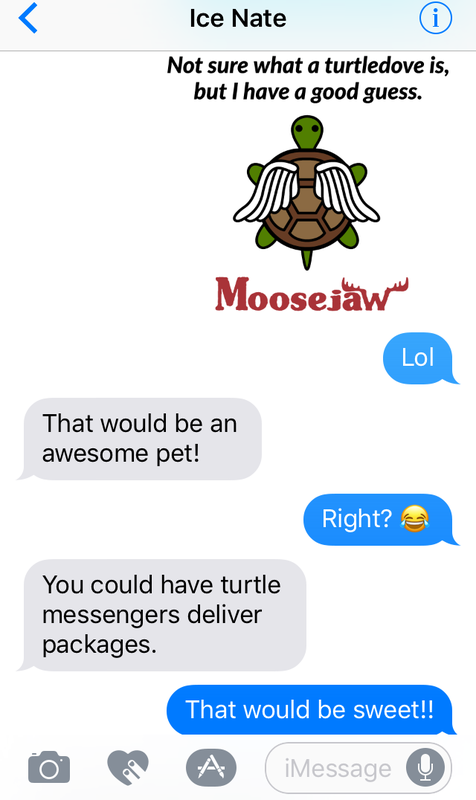 Oh and after you have some fun with the sticker app, check out Moosejaw for all your outdoor apparel and equipment needs. They have top brands like The North Face, Arc’teryx, Patagonia, Marmot, Mountain Hardwear and many more. The company, that’s based out of Michigan, has a pretty sweet rewards program that gives you $10 in Moosejaw Rewards Money for every $100 that you spend on regular-priced items, which equals 10% back! They also offer lifetime returns, so definitely check out their site! Don’t forget to download their Free iMessage Stickers app. Then come back and tell me which one is your favorite!